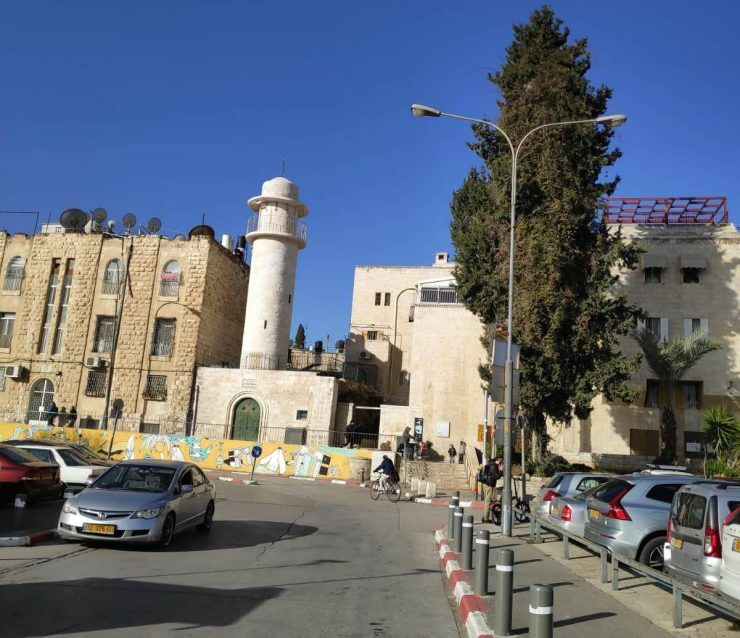 The Muslim Waqf has recently begun to renovate and refurbish a derelict mosque situated at a strategic point in the Jewish Quarter in Jerusalem’s Old City. An Old City source told TPS on Monday that the mosque, situated on the famed Chabad Street and which has been empty for years, possibly since the 1967 Six Day War, has been undergoing extensive renovations in recent months. The renovations included the cleaning away of old brush surrounding the building, the renewal of the minaret’s façade, the replacing of the old fence on the second floor, the repainting of the front doors and others actions to prepare the mosque for prayer. The source said that the Islamic Waqf (Muslim Trust), which is directed and controlled by Jordan, is behind the renovations, a fact that gives the project international significance. He added that the opening of the mosque would have a deep effect on the Jewish Quarter and its Israeli residents and that this project appears to be an attempt to counter Israel’s activities to revive and refurbish other areas in the Old City.